Welcome back readers! Here is another entry in our Questions about Class series, this time focusing on the Gunslinger. 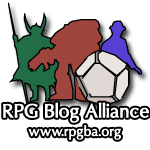 As you may (or may not) know, Flying Pincushion Games has released the next book, Into the Breach: The Gunslinger so we thought it was a good time that I, Kiel Howell, sit down with fellow Pincushioneer Jason Linker to talk about the class. JL: Happy to help, as always. JL: I’m the balance and mechanics editor, I write when ideas strike me, and I was the lead developer for our gunslinger book. I’m also a husband, father, and have some shiney degrees but that’s boring. KH: It’s time to get to the tough stuff. The Gunslinger. I’m not sure there’s a more heated debate than guns and fantasy...except maybe the Eastern vs. Western thing. What is this class and what is your stance on guns in the fantasy world? JL: The gunslinger is the consummate firearms professional with a big splash of spaghetti western tossed in, anachronistic though it may be. I’m not at all hacked off about guns in my fantasy like some people are. Looking at it from a societal point of view, it had to happen. Certainly in a society with magic scientific research is going to be stifled somewhat but it won’t be eliminated. There are bound to be those who don’t have access to magic because of geography (mana wastes and other magical dead zones) or because of a lack of aptitude but that doesn’t mean that they’ll be stupid or lack initiative or skill. Guns are bound to be created even in a fantasy world for the same reasons there were created in our world. KH: Why does it require a new class to make this work? Would it have been better to make stats for guns and an archetype of the fighter (complete with grit feature) rather than a whole new class? JL: That’s like saying why have a ranger when you can make a fighter archetype with a pet dog. But it is interesting because gunslinger was almost an alternate class of fighter. For those that weren’t around during playtesting, that’s how it was first presented. There’s a certain point when you’ve replaced so many abilities with an archetype that it’s a new class and a certain point where you’ve replaced so much that you can’t even call it an alternate class anymore. I think this is one of those instances. KH: What exactly is the grit pool? JL: The grit pool is a recharging bunch of points that let you do some of the swankiest things in the class. The fact that they recharge when you kill an enemy or score a critical hit means that you don’t have to hoard them all day but you don’t usually have so many that you can nova every fight either. Pool mechanics are a good limiter of powerful abilities and the number of points you get or how they do or do not come back helps to balance particularly powerful abilities. KH: Deeds are interesting, and I can see what they are. As basically extraordinary abilities...aren’t these a little limiting in the types of Gunslinger characters there can be? JL: I don’t disagree with that. Mostly we followed Paizo’s lead here and stuck with extraordinary abilities, especially in deeds but just because you’re shooting a gun doesn’t mean you shouldn’t have supernatural or spell-like abilities. The black powder knight has lay on hands and divine bond like a paladin. The wyrd hunter gets some supernatural deeds and two of our three prestige classes are designed to blend spell casting and guns. KH: I’ll ask the dreaded question, what are your thoughts about targeting touch AC? Would you change it? JL: It’s not an easy call. Guns are different from bows in fairly fundamental ways and deserve to have their own mechanic. I’m not 100% certain that this mechanic is the best one but I also couldn’t point to another that makes me happy. JL: I did a substantial amount of research on the force and penetrative power of early guns back when we started this book. Period armor generally maxed out around 2mm thick and half that in some areas of the plate. It couldn’t be thicker without increasing the weight beyond what was comfortable (or at least as comfortable as plate ever got). Wheellock, flintlock, and matchlock weapons all were capable of penetrating 2mm or more of steel from as far away as 30 meters or nearly 100 feet. Some were even capable of piercing 2mm of steel from 100 meters away. Early bulletproof armor from the mid-1600 had to be made from two or more layers of steel. KH: Would you have added more types of firearms, instead of just having simple and advanced? Aren’t there some in-between steps? JL: Why didn’t you pitch that idea before we went to print? There are definitely tables out there that accept guns but only the early ones. The number of early guns and the lack of diversity of tech level doesn’t allow for a lot of advancement. KH: The class in and of itself seems pretty simple. Not very many class abilities aside from deeds, but they are a full BAB progression. Does full BAB make sense for this class? JL: It garners you more iterative attacks and when you strike against touch AC, even a small bonus gets you dividends. But it’s not a requirement by any stretch. Our alternate class the gungineer has 3/4 BAB and classes like bard and inquisitor can rock a gun pretty nicely, too. KH: Back to the guns themselves. 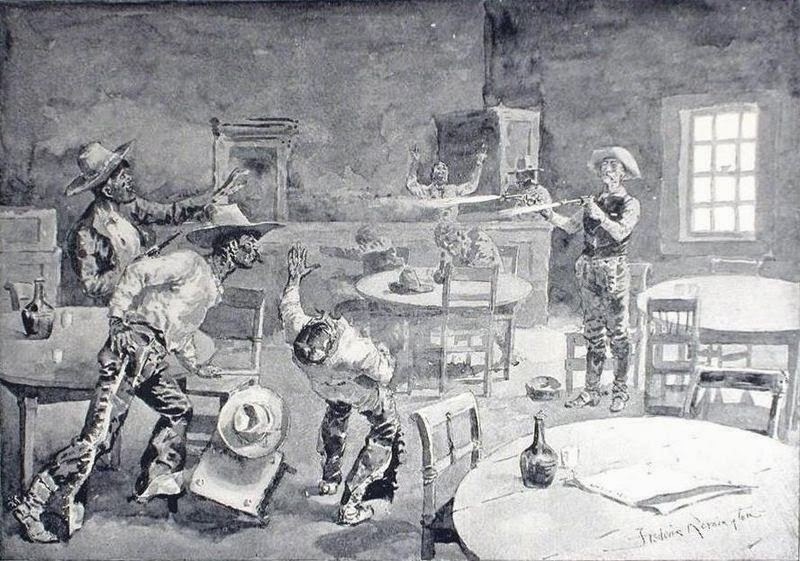 The Gunslinger starts with a battered gun...but why? What is that supposed to represent? JL: Balance. It’s so that you don’t start with something you can sell for a bundle of loot. Sort of silly way to go about it but I guess all level 1 characters should be a bit battered at that point. KH: You have some metallurgic experience in real life, right? How does the class and treatment of guns in Pathfinder sit with you overall? JL: Not a bit of experience but you don’t get a masters degree without picking up some tricks on good researching. Guns in Pathfinder are not meant to make a simulationist happy. Early firearms were complicated and finicky and frequently quite inaccurate. But that’s not terribly fun. Who wants to hire a guy to stand next to you with a parasol in case it rains? Who wants to spend 50% of their turns missing completely? If I was going to make any changes I’d probably assess a penalty on shots after the first one to represent recoil and make bullets and gunpowder cheaper. JL: We don’t ban the class at our table but I know it gets banned by other folks. Some people are allergic to peanuts. You can’t blame them for not wanting peanut butter in their chocolate. KH: What is your advice for building a successful Gunslinger? JL: Use one the of archetypes or prestige classes in our book! Seriously, though, I’d say not to trust too much in your d10 hit die and make some point buy available for Constitution. The effective range of your gun is also within the effective range of a severe beating so make sure you can weather it. Spend a fortune on Dexterity since it goes to your attacks and damage, not to mention AC and skills. You can get by with just a 14 in Wisdom in a 20 point buy or even a 12 if you’re being raked over the coals in a 15 point buy. But do be sure to snag a headband when you can. Grit has lots of useful functions and it’s fun to shoot the sword out of someone’s hand with the targeting deed or blast your way through a locked door with Utility Shot. KH: Thank you for taking the time to have this chat, Jason! You can find our Gunslinger book for sale at Paizo, and it should be up soon on d20 and DrivethruRPG.